Native Tell came to KyEHC when he was retired from racing because his owner and trainer wanted him to have a second career. He has a great temperament and is extremely quiet under saddle. 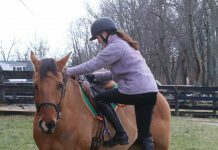 He cannot jump, but would make a great horse for someone who is looking to pleasure or trail ride. 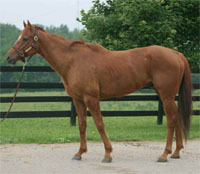 For more information on Native Tell or any of the other horses at the Kentucky Equine Humane Center, visit /redirect.php?location=http%3a%2f%2fwww.kyehc.org%2f.